After a tremendous year in 2018, Five Valleys and the Mount Dean Stone Committee partners are excited about the events and developments that are proposed for the Mount Dean Stone project 2019--everything from improved public access points to volunteer workdays to land acquisitions. 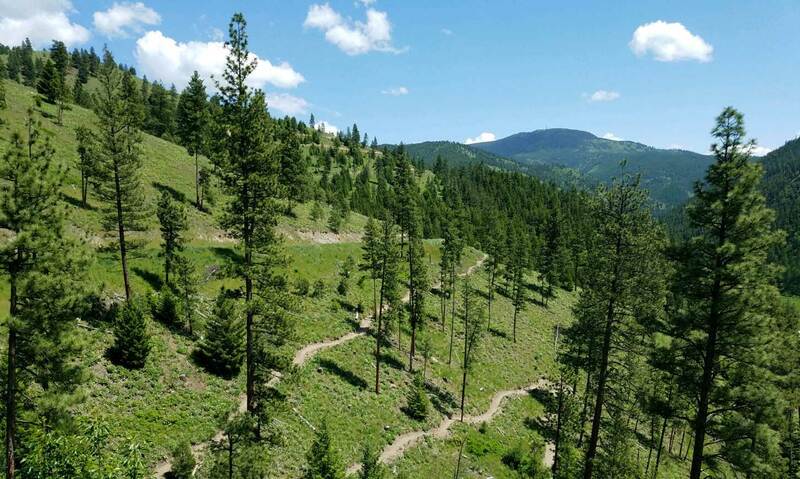 Read more about what 2019 has in store for the Mount Dean Stone project from the Missoula Current and download our new 2019 Mount Dean Stone Public Access Map. Want to get Mount Dean Stone updates in your inbox? Sign up to receive Five Valleys e-news update or Hands on the Land volunteer opportunities emails. ‍All abilities access at the Little Park Creek trailhead: Little Park Creek is a central access point to the Mount Dean Stone landscape and its robust network of gentle, accessible trails. Improvements would provide all-abilities access to the trail, through parking and trail improvements and an ADA gate. Improvements to the Inez Creek trailhead: Recently, a short singletrack loop was built at Inez Creek to establish public access to the landscape from the underserved Miller Creek neighborhood. This short loop will eventually serve as an access point for the greater project. 2019 developments include improved parking, signs, and trailhead infrastructure to facilitate access and ease of use. Trails connections from the Inez Creek Trail to Legacy Point: Above the Inez Creek singletrack loop is the Legacy Point Trail, which provides access to a scenic overlook from existing roads (read more about the volunteer effort that built the Legacy Point Trail). In 2019, we hope to connect the Inez Creek loop to the Legacy Point Trail, so that users can more easily access this breathtaking vista. A new, all-abilities access and trail to Miller Creek: Access to our rivers and streams is an integral to our Montana quality of life. The Mount Dean Stone Committee will be working to create a new, all-abilities access point to Miller Creek and a half-mile trail loop, so that bodies of all abilities can enjoy the Miller Creek landscape. To help fund these much-needed trail improvements, the Mount Dean Stone Committee recently submitted a grant proposal to the competitive Recreational Trails Program (RTP). In January, the Missoula County Commissioners publicised their support for the Mount Dean Stone RTP proposal. You can help elevate our proposal and the Mount Dean Stone project by voicing your support during the RTP grant proposal public comment period. Please visit the RTP public comment page and voice your support for the Mount Dean Stone trail improvements. Comments must be received by 5:00pm on March 9th, 2019. Learn more about the once-in-a-generation Mount Dean Stone project. The Mount Dean Stone project partners.